This Report is based on the Valuation of AirThread Connections. 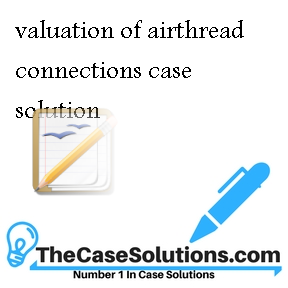 The valuation will be placed on AirThread by calculating the present value of cash flows to be derived in future and incorporating Synergy benefits. The valuation will also base on the recent Financial Performance and forecasted level of Earnings. The report is structured in 4 parts. The first part aims to discuss the methodological approach that Ms. Zhang might use such as WACC, Adjusted Present values or the combination. The Second part is based on the use of discount rate for Unlevered Cash Flows, third part calculates the present value of AirThread’s terminal value and the last part calculates the Total value of AirThread before considering Synergies. The relevant calculations of present values and key financial ratios are set out in the Attached Excel File. The Current Capital Structure of AirThread is based on the Capital Structure of Debt and Equity Capital. The returns of Debt and Equity Investors will be different; hence it is vital to calculate the average return of Investors that can be used to discount the future cash flows. The WACC calculates the average returns of both Debt and Equity Investors. This indicates that the Cash Flows must be discounted at the WACC of AirThread that incorporates the return of both Debt and Equity Investor. The Cash Flows from 2008 till 2012 are valued by calculating the Incremental cash inflows and Outflows. The cash inflows include the Service revenues and Equipment revenues. The expected savings to be resulted in Backhaul costs are also considered as Incremental revenues. The Yearly increase in revenue from wireless Subscribers is considered as the incremental cash flows. These cash flows are taken for the next 5 year period. The Cash Outflows include the System Operating Cost, Selling, general & Admin expenses, Tax Payments, changes in working capital and payments made for purchase of Non Current Assets in the year. It is assumed that all the income and expenses are paid for in the year in which they are incurred. The Tax Payments are computed by calculating the Profitability of next 5 years. It is assumed that Tax is paid in year in which it is incurred. 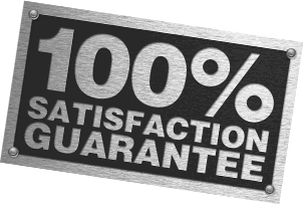 The discount factor of 9% is used for discounting the cash flows. The cash flows results in the present value of $ 6,543.024 M. This indicates that the Project will generate sufficient returns after paying off the required return of Investors. It must be made clear that only relevant cash flows will be used in the calculation of Adjusted Present value. These are the cash flows that will result from the Takeover of AirThread and those cash flows that are not impacted from the Acquisition decision must not be considered.